Quest Text: Pam is hankerin' for a pale ale. Regular old beer won't do. You can brew one yourself if you have hops and a keg. Stardew Valley is a fun and innovative game. It depicts the reality of the world. You know…...as closely as possible, I mean you are not going to fight slimes in the real world, but maybe sometimes you have to do something for your family. 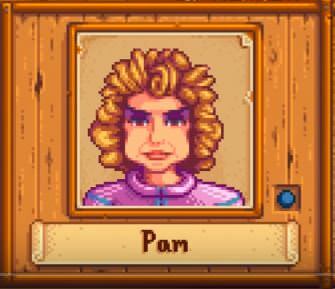 Stardew Valley “Pam is Thirsty” depicts just such an event. In this quest, you will need to craft and send some Pale Ale to Pam that she has requested from you. This quest is tons of fun, but after a few tries can become boring. So, read this walk-through and get on with playing the game. The request for the Pale Ale will come on the 14th of summer during your first year, be on the lookout. Pam has requested a bottle of Pale Ale form you, and you need to send it by mail. Hop: You will first have to purchase some Hops at Pierre’s general store, mind you Hops are only sold in the summer. The batch of Hops can take as long as eleven days to be fully formed. After the first batch remember to set up a Trellis. A trellis will give you a new batch of Hops every two days. Keg: Before setting up a keg. You will need 30 Wood, one Clay, one Copper Bar, and one Iron Bar. You will also need to be level 8 at the farming level. The components can easily be found in the mines, Forrest, underneath rocks, and in your vicinity. The level 8 is much harder to come by; it requires real hard work. Advice on what you could do is buy some Hops and then store them away in some containers for a season. In this duration, you will have enough time to get to the level 8 and then you can try making the Pale Ale. The actual process of making the Pale Ale is relatively simple. You will just need to put the Hops in the kegs and voila, after a day or two, you’ll have some delicious finely brewed Pale Ale. The delivering part is also pretty easy. You just need to go the menu and hover the Pale Ale over Pam. This will transfer the Pale Ale to Pam. 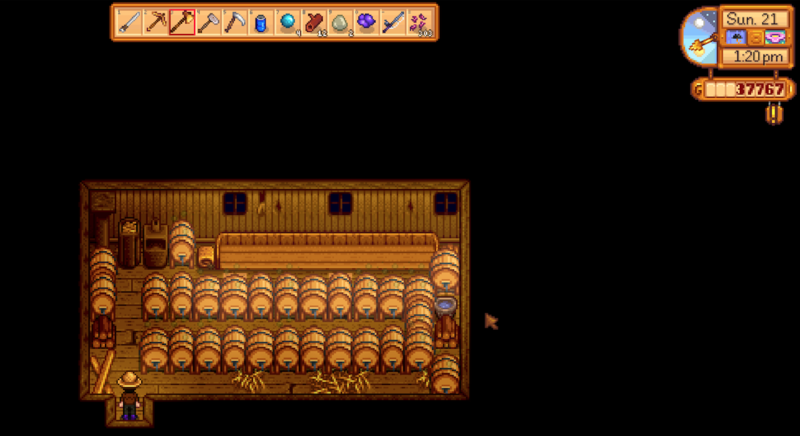 Congratulations you have now completed the Stardew Valley “Pam is Thirsty” quest. The game will also reward you by gifting you 350 gold which you can use at your pleasure. 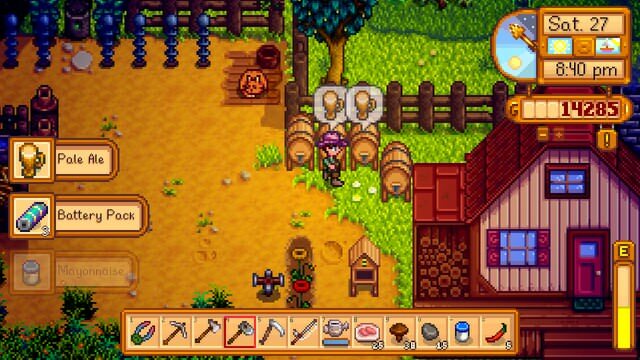 Stardew Valley is a very strange game, and Stardew Valley “Pam is Thirsty” quest is bizarre, but the game does bring an oft-forgotten part of farmlands to the forefront. The quest is simple to complete; if you are on a level 8. If you are not, then buy some hops, and try again in another season. If you miss a step, check the walkthrough.